Hiking in the Columbia River Gorge allows you to walk into a world of nature, wildlife and tranquility. The Statesman Journal's Top 5 list of "just right" hikes includes the following hikes: Elowah / Upper McCord Falls, Horsetail / Triple Falls, Catherine Creek, Multnomah Falls Loop and the Eagle Creek Trail. 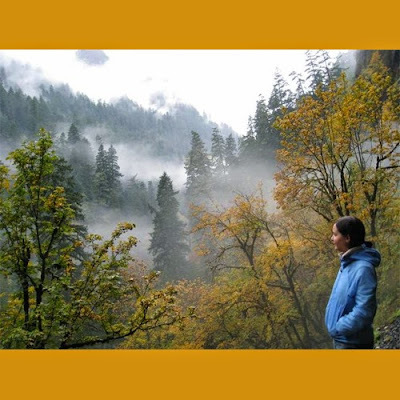 Embrace the outdoors in our gorgeous Pacific Northwest by hiking it. Read details about the Eagle Creek Hiking Trail below. Blasted through steep basalt walls, this spectacular trail leads to one of the Gorge's most iconic waterfalls — Punchbowl Falls — and through a dense, temperate rainforest literally dripping with water throughout the season. Even with the natural splendor, the highlight of trail might well be man-made. The recommended hike traverses the first 3.3 miles of Eagle Creek Trail to High Bridge, which spans a narrow rock chasm 120-feet deep and provides hikers a serous case of vertigo while staring into the churning water below. The trail is the second-most popular in the Gorge, so expect some company while hiking. Also, be weary of children and dogs because the trail follows some very steep and narrow cliffs. From the trailhead, the hike travels 2.1 miles to the first waterfall, Metlako Falls. Just beyond, a short side trail leads to a view of Punchbowl Falls. Enjoy lunch at a nice overlook just across High Bridge and turn back around to complete a 6.6-mile out-and-back hike. (Eagle Creek Trail continues another three miles past High Bridge to dramatic Tunnel Falls). Dogsmust be leashed. Steep cliffs make this a dangerous hike for dogs.